Celebrating birthdays doesn’t mean having to wear fancy clothes or flying out of the country. I’d be happy to simply spend quality time with family and friends over dinner. I’ve been out of town in my last two birthdays – Singapore in 2012 and Boracay in 2013. This year, we choose to stay in a cozy place within the metro to celebrate this special event. 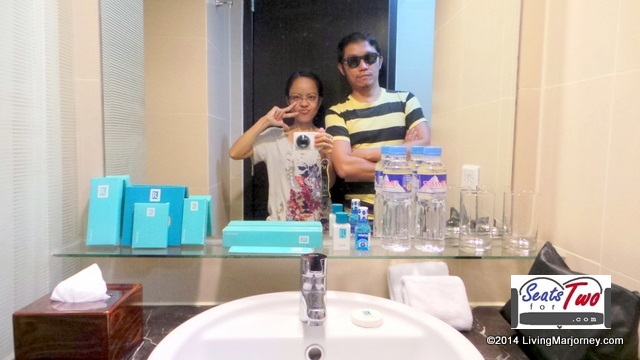 Using the voucher included in the Resort World Manila Indulge Card, my husband booked an overnight stay at Remington Hotel a week before my birthday. 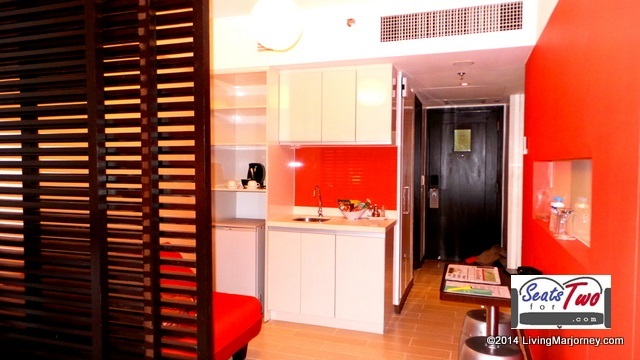 Otherwise, we usually book Remington Hotel in Pasay City with Traveloka. Remington Hotel is one of the hotels inside the compound of Newport City. It’s right across NAIA Terminal 3 and is very accessible to NAIA Terminal 1 and 2. Remington offers a relatively affordable hotel accommodation within the comfort and security of Newport City. 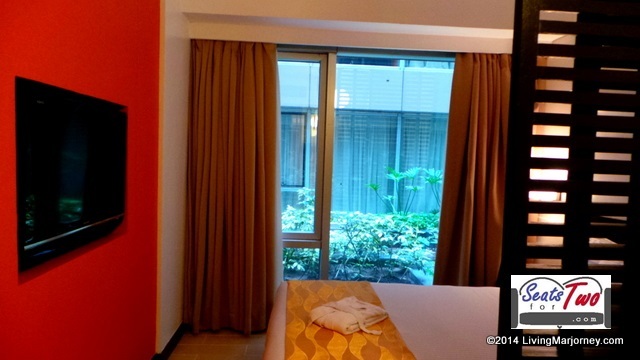 Moreover, guests doesn’t need to go far for shopping and leisure. RWM and Newport Mall has several casual and fine dining restaurants, shopping and leisure destinations, world class cinemas, concerts and live performances at Newport Performing arts, and casino, among others. Some restaurants are also open 24 hours. 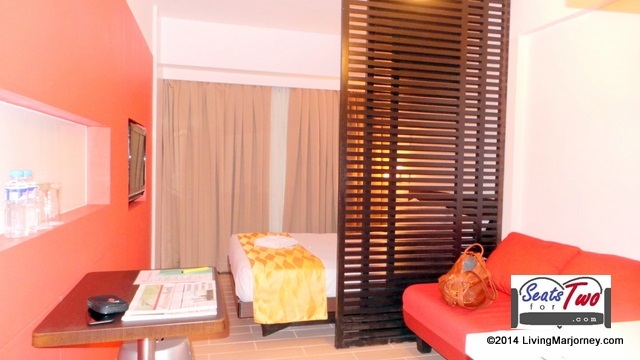 We stayed at one of the Premier Rooms (P 5,000 exclusive of service charge and taxes) located at the 2nd floor. There was no overlooking view but I enjoyed the raindrops on the windowpane and little drops of dew that gathered on the leaves. The room had one queen size bed, a sofa bed, a dining table, a refrigerator, fully stocked mini bar, complimentary bottled water, clean and soft towels and bathrobes. I did not have to request for a hot water kettle, there’s one complete with coffee and tea making facilities. 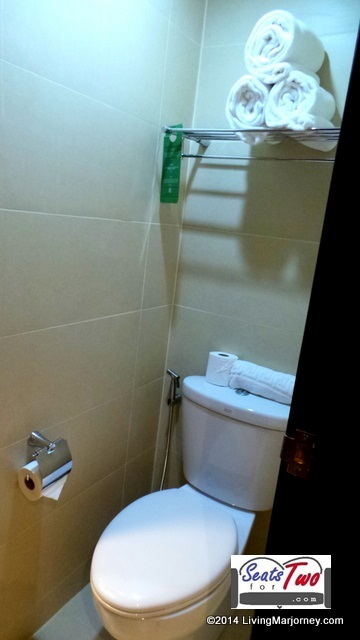 The bathroom may be small but it offers everything you need – hot and cold water, full set of bathroom amenities and hairdryer. 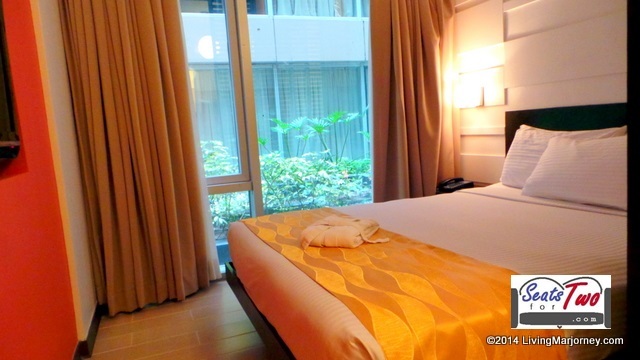 The room fitted a queen-sized bed and can accommodate two adults and 2 kids on the extra sofabed. There’s also ample space for a living room area that’s good for families. If there’s one thing I hope would improve was the limited internet access. We were provided witha WiFi username/password but later found out it was good for one gadget for 24 hours only. The hotel staff were friendly and courteous as well. That afternoon, we decided to go window shopping just before having dinner at Ginzadon where we had a sumptuous Canadian Maki and a hot bowl of Shouyu Ramen. Needless to say, we had a good night sleep and woke up excited for the buffet breakfast at Mercado located inside the RWM gaming area. Located at the gaming area of Resort World Manila right beside Victoria Harbour Cafe, Mercado offers all you may want for breakfast including coffee, milk, pastries, bread. There were Filipino food as well like pork adobo, pinakbet, tocino and boneless bangus (milkfish). Moreover, there’s an area for sushi, maki, siopao, siomai, and more! Hubby had his favorite for breakfast, pancakes! I like the rich and delicious champorado. It was a hearty and filling breakfast buffet! 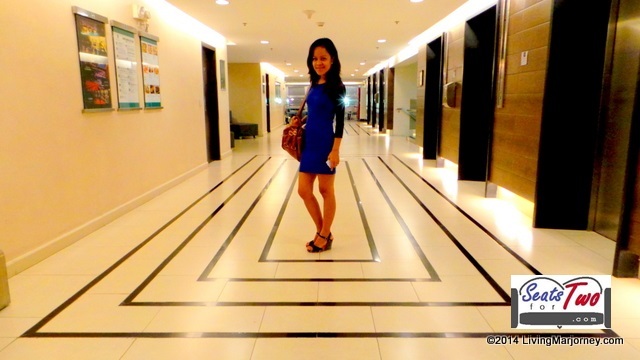 It was a pleasant birthday staycation at Remington Hotel, simple dinner at Ginzadon, and a filling buffet breakfast at Mercado. Indeed, it was an indulgent birthday treat using hubby’s Resorts World Manila Indulge Card. 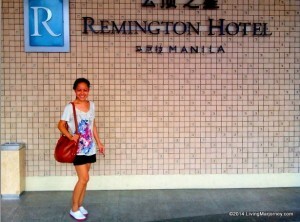 Remington rooms look simple but it’s nice and clean pala. I love your photos! how much is the indulge card?